We at OVC express our sympathy to the victims of the mass shooting at a peaceful protest in Dallas, Texas, their friends, families, and officers of the Dallas Police Department and Dallas Area Rapid Transit Police. The following resources may be able to help victims and their families, as well as the victim service providers, including law enforcement leaders, who are assisting them during this difficult time. The Public Safety Officers’ Benefits (PSOB) Office offers its deepest condolences to the survivors of the mass shootings in Dallas. The PSOB Program provides federal death and education benefits to survivors of fallen law enforcement officers, firefighters, and other first responders, and disability benefits to officers catastrophically injured in the line of duty. 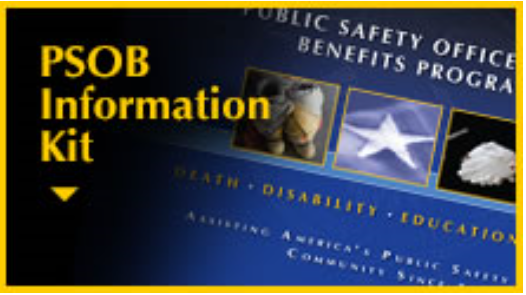 View the PSOB Information Kit to learn more on how to apply and contact PSOB by phone at 1–888–744–6513 or email at AskPSOB@usdoj.gov if you have any questions. Also, PSOB works closely with the Concerns of Police Survivors (C.O.P.S.) to provide peer support and counseling services; for information on the many resources C.O.P.S. provides, call 1–800–784–2677. The Disaster Distress Helpline, funded by the Substance Abuse and Mental Health Service Administration (SAMHSA), is a national hotline dedicated to providing year-round disaster crisis counseling. This toll-free, multilingual, crisis support service is available 24/7 via telephone (1–800-985–5990) and SMS (text ‘TalkWithUs’ to 66746) to residents in the U.S. and its territories who are experiencing emotional distress related to natural or man-made disasters. This section of the COPS website provides resources that focus on the physical safety and mental wellness of law enforcement personnel. This resource provides tips for coping with grief after an incident of community violence. Coping With Grief After Community Violence also offers tips for helping children deal with grief. This booklet describes what community members can do to help children and adolescents cope with violence and disasters. Disasters: What Parents Can Do This booklet describes what parents can do to help children and adolescents cope with violence and disasters. The video recognizes that being a victim of a crime can be a devastating experience for survivors and their families, describes the help that is available for victims of crime, and identifies certain victims' rights that are guaranteed in most states. This handbook provides victims of terrorism with information based on the expertise of mental health, crisis counseling, and victim assistance professionals. The handbook is intended to help these victims understand their reactions to an act of terrorism or mass violence. The OVC HELP Series of brochures provides a resource for victims of crime and the victim service providers that work with them every day. Each brochure defines a type of victimization, discusses what to do if you are a victim of crime, and provides national resources for more information and assistance on where to go for help. This fact sheet helps parents and teachers to recognize common reactions children of different age groups (preschool, early childhood, adolescence) experience after a disaster or traumatic event. It also offers tips on how to respond to children and adolescents in a helpful way, and when to seek support. This brochure highlights victims’ rights and compensation and assistance programs, and lists national organizations that help victims to find information or obtain referrals. This publication provides an analysis of police perspectives on ambushes, analysis of ambush attack incidents and survivability, investigation of the community and departmental characteristics associated with ambush attacks, and a survey of organizational learning practices in the aftermath of ambushes. This brochure describes OVC’s Antiterrorism and Emergency Assistance Program, which provides federal funds to support crisis response, consequence management, criminal justice support, crime victim compensation, and training and technical assistance during crisis aftermath. The product of the OVC-funded Mass Casualty Protocol project, this manual examines the role of victim compensation programs during a mass casualty incident and describes a strategy for serving victims, survivors, allied victim professionals, and compensation program staff. This Field Manual is intended for mental health workers and other human service providers who assist survivors following a disaster. This pocket reference provides the basics of disaster mental health, with numerous specific and practical suggestions for workers. Essential information about disaster survivors’ reactions and needs is included. "Helping" skills are described with guidance for when to refer for professional assistance. Strategies for worker stress prevention and management are presented in the last section. This booklet describes what rescue workers can do to help children and adolescents cope with violence and disasters. Develop a comprehensive victim assistance plan for responding to incidents of mass violence, terrorism, natural disasters, and high-profile criminal incidents. Bring key partners together to review existing emergency plans, and to initiate or continue the development of a victim assistance plan within a community. Establish victim assistance protocols, which can greatly enhance the effectiveness of response and recovery efforts. Follow protocols for short- and long-term responses to victims following incidents of mass violence. This guide is intended for service providers and professionals in the mental health field providing the basics in responding to and assisting victims and families during the aftermath of mass violence and terrorism. Tragic events can have a profound effect on first responders, who may suffer emotional distress that lingers long afterward. This unique publication offers expert advice and practical tips for helping officers to heal emotionally, managing the public, dealing with the media, building relationships with other first responder agencies, and much more. Developed by the National Child Traumatic Stress Network and the National Center for PTSD, Psychological First Aid is an evidence-informed approach for assisting survivors of disaster and terrorism. This article provides information on how children respond to terrorism and presents steps that professionals and parents can take to help children cope with acts of terrorism.